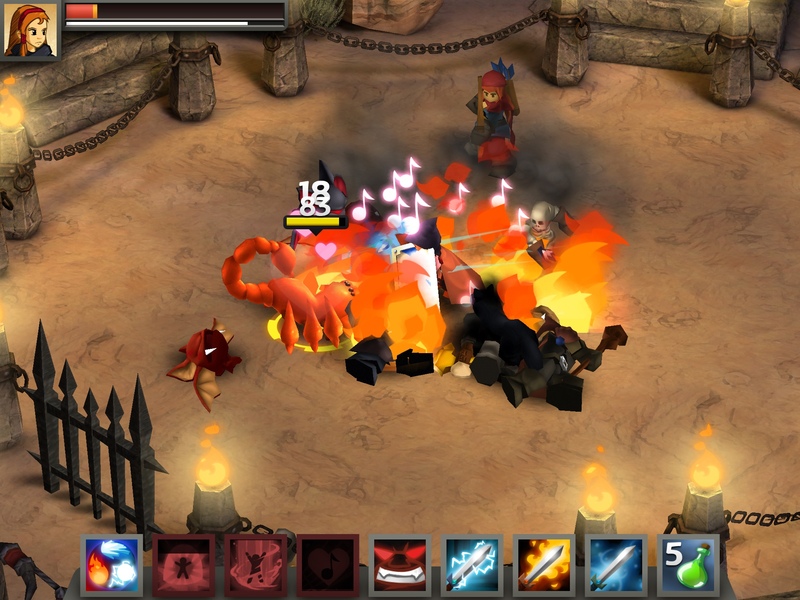 Legacy is called the spiritual successor to Battleheart because while it has many elements in common with the original, it is not a sequel. 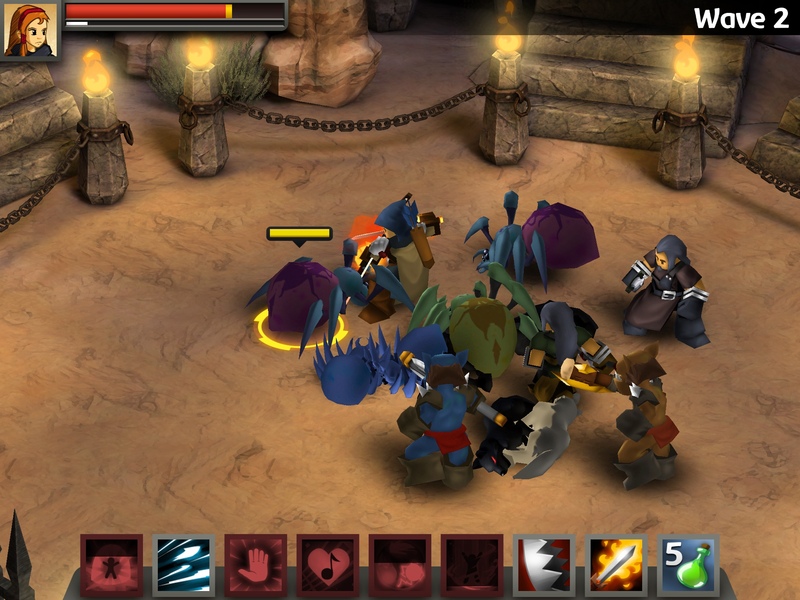 This is because that unlike the party-based combat system of Battleheart – Legacy is a strictly solo affair. 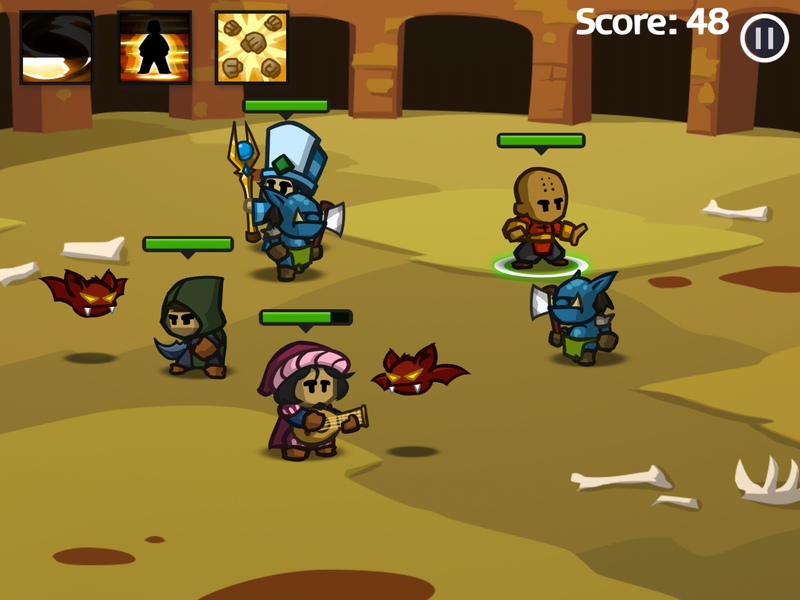 It offers instead a game that lets you develop and customize your own super-powerful hero with a variety of skills, breaking away from the mold of the traditional RPG which mainly lets you choose one hero class to develop and upgrade. I have a mix of Paladdin (warrior-healer), ninja, ranger (archer), bard, battlemage and wizard powers. You gain these skills through training, which requires certain stats (high CHA or charisma for the bard) and a certain amount of money. 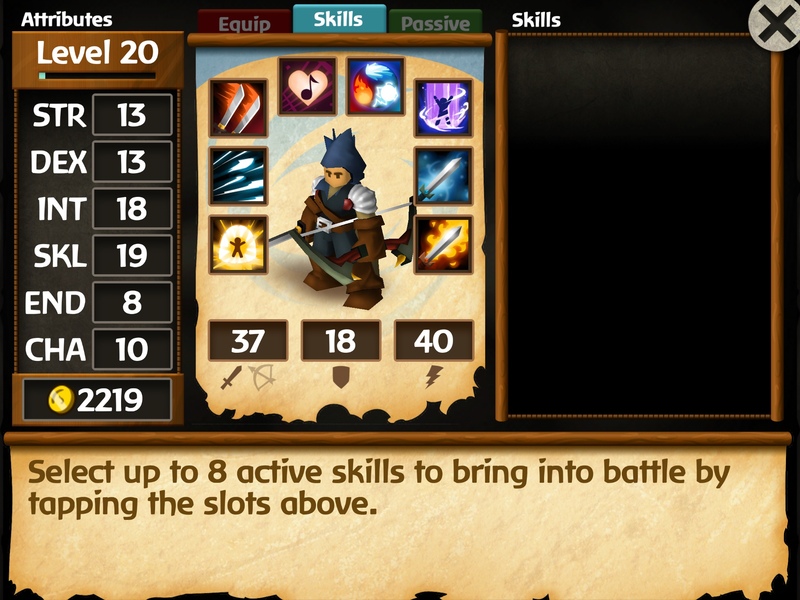 Skills can be active (used in the game) or passive (contribute to your stats or gameplay). For example, I chose the teleporting power of the wizard but at the same time, I need the twin blades of the ninja to deal lots of damage to a single baddie. 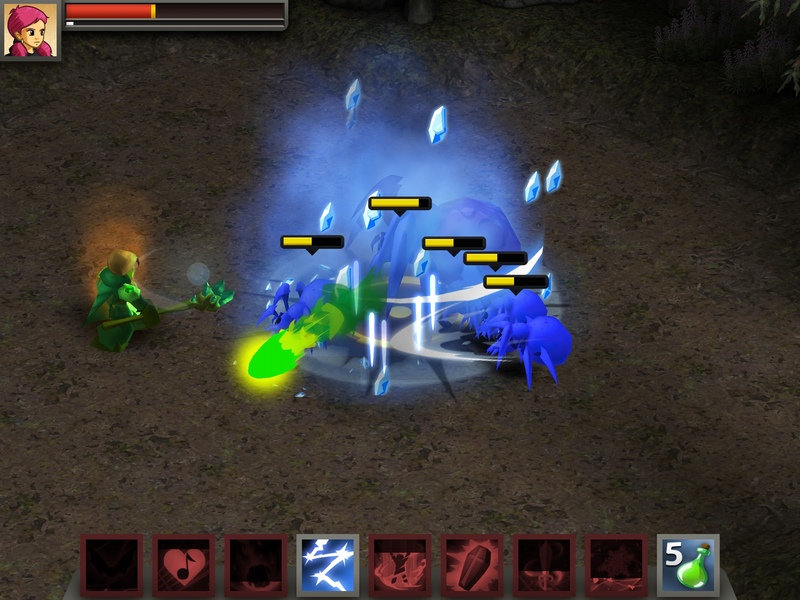 I also have battlemage powers to enhance my basic weapons to produce arctic or ice and fire enhanced weapons. Powers are easily identifiable and almost self-explanatory thanks to the large icons surrounding my hero. The addictive part is building your own hero according to your preferred fighting style, strengths and skills. Since you only earn three (3) skill points for every level, you can allot only so much to a particular skill. This means you can either go for broke and develop just one or two main classes, or you can have fun leveling up, piecemeal, all the other hero classes to get their special skills. There are tons of wiki resource articles and Toucharcade forums discussing at length what kinds of powers and skills work together best. Some prefer choosing 2 main hero classes to develop (ninja-rogue or monk-paladdin, for example) while others, such as myself, tend to favor a more diverse skill set. As for the storyline, Battleheart Legacy is basically open-ended. You can wander around and enter different locations – there is a recommended level for each location. If you die during the encounter, you will lose gold in the process. Somewhere along the way, there are random encounters where you can earn XP (experience points) or gold. You can walk up to different characters and talk to them – some will give you quests, some will give you valuable advice. The conversations are witty and funny, and elicit a chuckle now and then. There are various choices that open up to you based on how you react to a certain situation. For example, choosing to aid a powerful hero will open up different rewards and alternate quests, while killing a certain character or failing to help results in locking out certain heroes and quests. To a certain extent, your choices will define your character. The game is really fun for having a non-linear storyline, but it’s hard to keep track of quests, especially if you like to wander around. 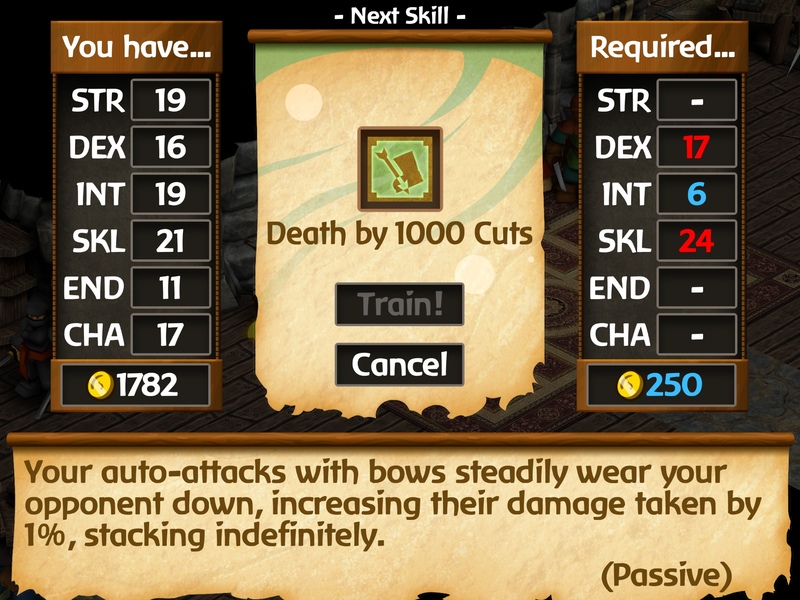 I hope Mika will consider putting in a journal so players don’t lose track of their quests and objectives, and if there is an even easier way of listing skills and power ups to make equipping/un-equipping them easier. Another wonderful feature in Battleheart Legacy is the Arena (now Colosseum), carried over from the original Battleheart. It’s basically endless mode where you battle all sorts of enemies coming at you all at once. Some are annoying bats and goblins, while others are formidable types like frost giants and dragon-like wyrms. Here, you survive for as long as you can and based on the number of kills (a minimum of 10), you earn XP and cool accessories – the more kills, the more epic the reward. Just as before, the arena is addictive! While the adorable, cibi-like cartoon art of Mika Mobile’s prior outings remain timeless, the change in the art and style of Legacy is nothing less than awesome. The graphics are top notch without losing the appeal of the original, since you can see the original characters just fleshed out more. While Legacy doesn’t quite capture the adorable animated expressions of Mika’s characters in their earlier games, the creatures and beasts that populate the world of Legacy are imposing, some comical (such as the cyclops), and just beautifully done. You can tell a lot of love went into the game, and you will not mistake it for any ol’ dungeon crawler out there. 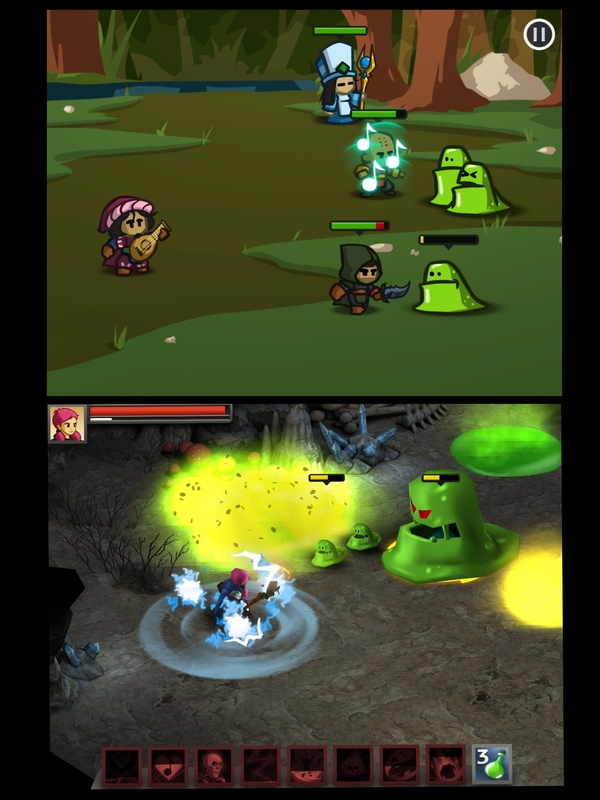 I do miss some little flourishes though, such as the crazy look the baddies get when you use fear or intimdate on them, and I miss the cuter, non-Slimer like oozes (I used to call them slugs) that snap at you and deal a lot of damage when they draw near. Let me sneak in a quick word about cloud saving. 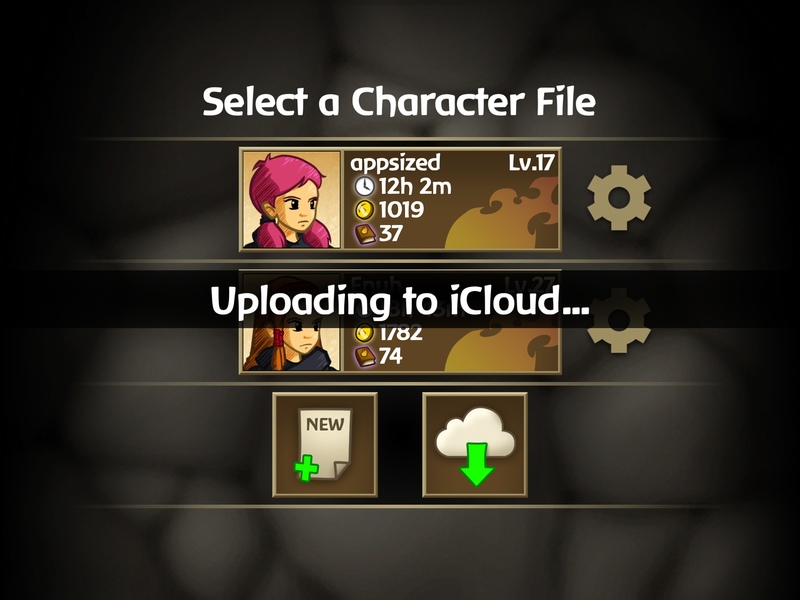 In Legacy, you can upload/download your game’s progress using iCloud, and the process it just silky smooth. Upload your latest save say from your iPad and download to your iPhone or iPod and continue playing. Oh, and you can also enable crazy mode, which lets you attack non-playable characters (NPCs), if you’re in the mood for some evil fun. 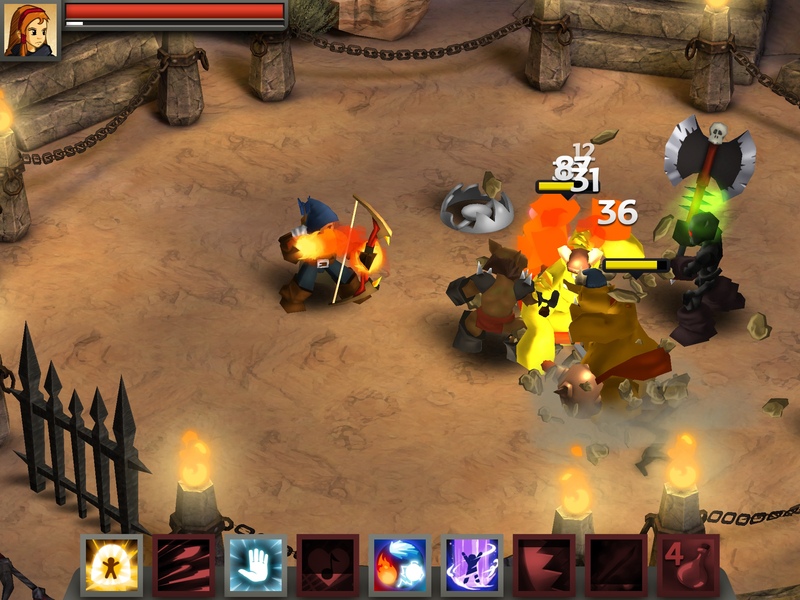 I’ve been eagerly waiting for Battleheart Legacy since Mika Mobile first announced that it would be out in December 2013, and although the final release was delayed by some time (almost six months), the final product is compelling and well worth the wait. It’s only fitting that Apple chose Battleheart Legacy as its pick for Editor’s Choice (formerly known as Game of the Week). I know this was quite a long review, but Battleheart Legacy deserves the accolades its received from reviewers and players alike. It’s one of the best games to come out this year and like Battleheart, it has a permanent place on my iPad. Battleheart Legacy is a strikingly original game is a marvel, a joy to play and an experience you can sink your teeth into. 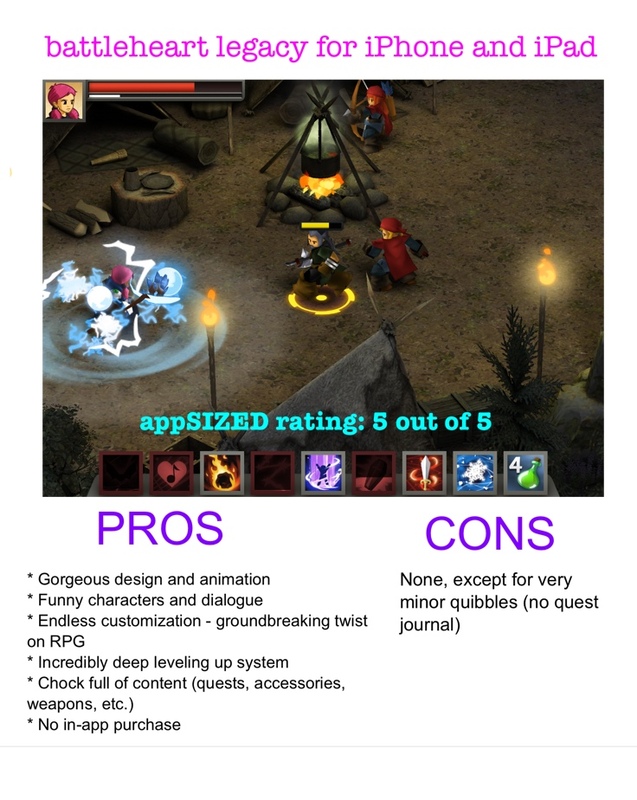 If there is one game you must have this year, it’s Battleheart Legacy. This early, to me, it’s hands down, the Game of the Year.